This is where I've been spending my time a cnc router (buildyourcnc.com), but I haven't forgotten about my #1 hobby. My wife and I are trying to start a part time business making signs, crafts, etc. Once the cnc router frees up I plan on making some custom parts for laminar fountains. I'll post some more in fall time! This finished and up running right now, but I haven't taken any photos recently. Re: I'm still interested in this hobby, but I'm occupied for a while. 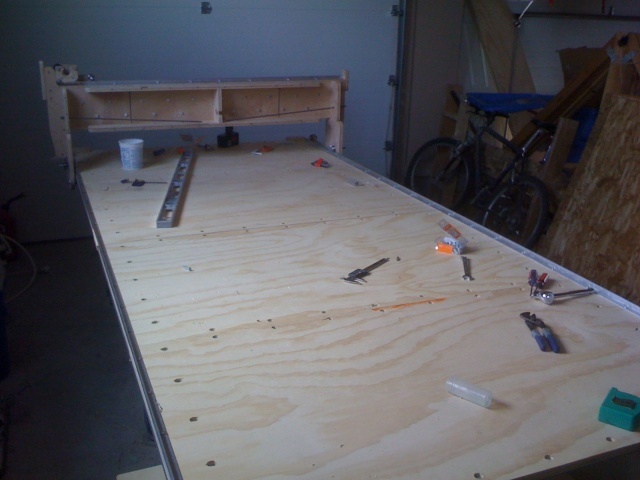 John wrote: This is where I've been spending my time a cnc router (buildyourcnc.com), but I haven't forgotten about my #1 hobby. My wife and I are trying to start a part time business making signs, crafts, etc. Once the cnc router frees up I plan on making some custom parts for laminar fountains. I'll post some more in fall time! It's a cnc router. It will cut wood to whatever I design. Looks very cool john, i like it.